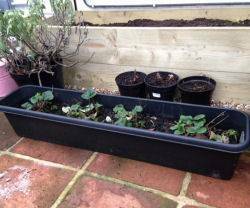 This week in Stephanie’s Kitchen Garden, we are trying to trick mother nature into an early harvest by moving a trough of strawberry plants into the greenhouse. 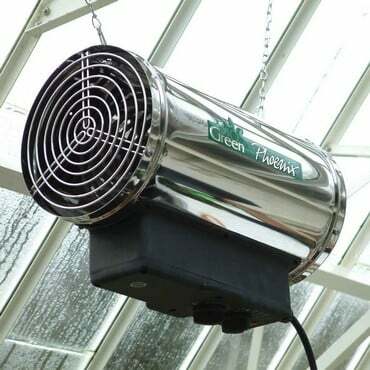 The warmth of the heater will spur the plants into life and encourage early blooms. When they flower, we will move them out of the greenhouse on sunny days to allow the pollinating insects a chance to do their work. The bees are barely awake this early in the season so leaving nothing to chance, we will also hand pollinate them with a paint brush. It will all be worthwhile for that first taste of an english homegrown strawberry. 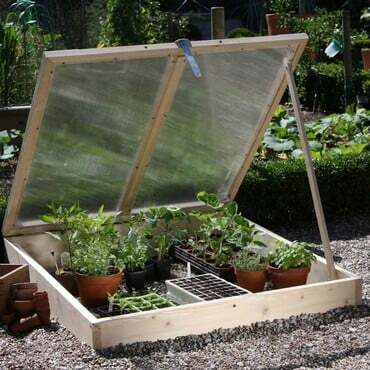 Outside, we will cover a row of early strawberries in our raised strawberry bed with a cloche to try and bring them along a little quicker too. We will also be digging our beds over to incorporate the manure that we spread earlier in the year. It will then be raked to a fine tilth all ready for planting. We will then be covering the soil with polythene to help warm it up prior to planting. Our broad beans, peas and shallots will be moved from the greenhouse where they were started off, into the cold frame this week. They will spend a couple of weeks in there to harden off before being finally planted out in mid-March. With the growing season getting into full swing, it’s a good idea to get organised with your seed sowing to make sure nothing gets missed. Our seed tin is sorted by sowing month and the seed packets are slotted in to the relevant sowing month. I find this particularly useful for successional sowing. 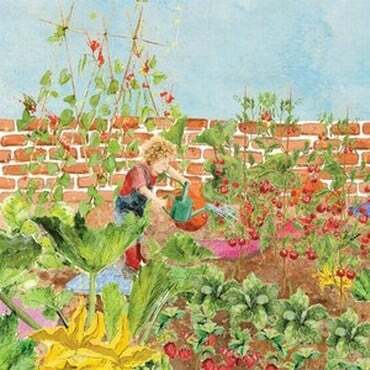 Don’t worry if you miss a crop or don’t have room to sow everything you need as plug plants are a useful way of filling the gaps in your vegetable garden.